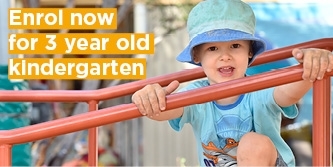 At Caulfield Primary Early Childhood Centre we recognise that starting kindergarten is a major step in your child’s life. It is a rewarding, challenging and exciting year during which each child develops new skills and abilities. Our professionally trained and passionate educators have created a warm and welcoming learning environment designed to help children grow and develop self-confidence. 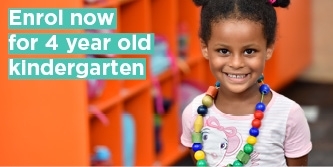 We strive to help each child reach their potential and to prepare them to start school with a positive experience of learning and strong relationships with trusted adults. Our varied and active play-based programs focus on developing children's physical, social, emotional and intellectual skills. Our educators provide well-planned and well-resourced programs that are adapted to incorporate each child’s needs, interests and strengths. Through actively engaging families in conversation during orientation and throughout the year, educators gain a meaningful understanding of children’s culture and important events. Throughout the year, these are incorporated into the program and families and children are encouraged to share their wisdom and experiences with the group. At Caulfield Primary Early Childhood Centre we promote healthy eating and drinking during children’s scheduled meal times. Our educators engage children in spontaneous discussions and learning experiences based on healthy eating. Families are encouraged to provide healthy food choices, and we are always available to provide information about health and nutrition. Our kindergarten is located in a spacious and fully renovated heritage building featuring a large landscaped outdoor play area. We recognise the importance of physical activity and outdoor play, and our grounds provide the perfect environment for your child to play, explore and refine both gross motor and fine motor skills.